Pardon me for clubbing Terrorism with Religion. My effort is just an attempt to throw open my concerns that the world is leading to. Most or maybe all mass scale violence these days, could be remotely linked to some sort of religion or ethnic group. And with weapons freely available in the marketplace, parts of the world are easily becoming killing fields. And in most of the incidents the common man suffers, either directly or indirectly. The term "terrorism" means premeditated, politically motivated violence perpetrated against noncombatant targets by sub-national groups or clandestine agents usually intended to influence an audience. However my definition of terrorism is 'An act of treachery which left 233 dead and 706 wounded people in 1999 and 741 dead and 5952 wounded people in 1998' Also according to the Department of State, United State of America, the number of terrorist attacks rose, however. During 1999, 392 international terrorist attacks occurred, up 43 percent from the 274 attacks recorded the previous year. The number of attacks increased in every region of the world except in the Middle East, where six fewer attacks occurred. That was how the previous millennium ended and the new started. From time immemorial including the mythological periods most of the wars were fought on some religious ground or the other. If also there were no direct religious reasons, the background often stemmed from social disparity or differences in religious beliefs. In every war, either direct or proxy would most surely impact the common man. In all wars the front line suffers and are killed or disabled. Food becomes scarce, environment suffers disasters, health conditions become poor, and the after effects of this man made holocaust remains for a few generations. 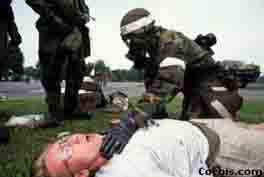 The Taliban in Afghanistan, is unwilling to take actions against terrorists trained in Afghanistan, many of whom have been linked to numerous international terrorist plots, including the foiled plots in Jordan and Washington State in December 1999. Pakistan continues to send mixed messages on terrorism. Despite significant and material cooperation in some areas--particularly arrests and extradition--the Pakistani Government also has tolerated terrorists living and moving freely within its territory. Pakistan's government has supported groups that engage in violence in Kashmir, and it has provided indirect support for terrorists in Afghanistan. 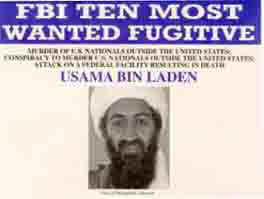 International terrorism is often personality based and the best example in the World is Usama Bin Laden. A fatwa (Muslim legal opinion) was published on 23 February 1998 by Bin Ladin and allied groups under the name "World Islamic Front for Jihad Against the Jews and Crusaders." The statement asserted it was a religious duty for all Muslims to wage war on US citizens, military and civilian, anywhere in the world. His determined attack on America and its allies have raised many questions on the stand of Muslim World leaders. In the Middle East, two state sponsors - Iran and Syria - have continued to support regional terrorist groups that seek to destroy the Middle East peace process. The Iranian Ministry of Intelligence and Security (MOIS) and the Islamic Revolutionary Guard Corps (IRGC) continue to provide training, financial, and political support directly to Lebanese Hizballah, HAMAS, and Palestinian Islamic Jihad operatives who seek to disrupt the peace process. Religion also has its influences on the common man. Everyone knows the importance of religion and beliefs in our lives and this article is not a forum to harp on its benefits. But whenever we see forced conversions, religious shelters, forced religion in schools, religious charity; we often think whether religion should at all be the basis of any social discrimination. Terrorism can only be countered through constructive efforts on the part of all the political machinery and religious body in the World. At first there should be no concessions to terrorists and there should not be any deals. Secondly, irrespective of any negotiation terrorists should be brought to justice for their crimes. Thirdly, isolate and apply pressure on states that sponsor terrorism to force them to change their behavior. Last but not the least, bolster the counter-terrorist capabilities of those countries that work with the developed countries and require assistance. The common man needs to understand that terrorism is not their cup of tea. They should keep away from all invitation towards the path of violence and unsociable activities. They need to understand that their only priority is their family and a decent method of livelihood.